Holes smokes, where to begin? EAT LIKE WALT is an absolute must-own for any Disney fan. Yes, that expression is used A LOT but author Marcy Smothers has crafted a coffee table book that I can’t stop thinking about or talking about and I’m so happy I got the chance to have an advanced copy to review. The book is definitely for Disney Geeks. That fact is validated with a stamp of legitimacy in the form of a foreward by Chief Creative Officer of Pixar, John Lasseter. He talks about his experiences early in his Disney career with eating on the studio lot and more broadly about the impressive work by Smothers to compile all the information in the book. So what exactly does EAT LIKE WALT cover? It’s more than just a recap of what the head of the Disney empire liked to eat. Sure, there’s plenty of fantastic history about Walt’s upbringing and how food factored into his life. But the book expands on this concept to cover how food touched Walt’s career life, too. From the early days in the various Disney Studio locations to the Commissary on the Burbank studio lot and then later on at Disneyland, too. 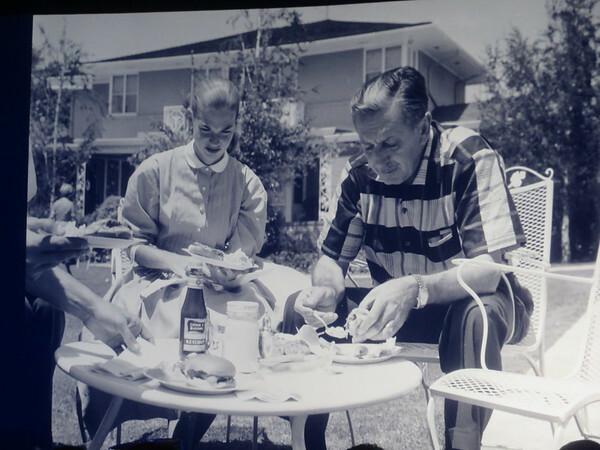 There’s even a whole section on just regular California restaurants where Walt often dined. For road-trip prone fans, Smothers even includes addresses and notes about the locations that still exist… so you can get a taste of Disney history for yourself! Walt was a simple country boy and he had the taste palette to match. The stories compiled — with lots of input from Walt’s late daughter Diane Disney Miller and his granddaughters — give a fantastically candid peek into the private life of a man whose public image is so carefully crafted and curated. 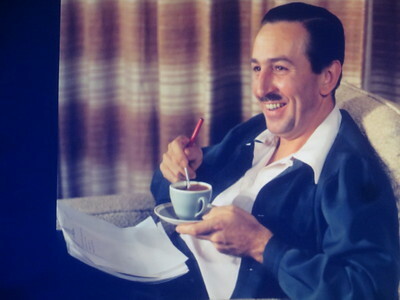 From details about his faithful live-in housekeeper affectionately nicknamed Fou Fou to fun details about Walt’s dining experiences in the parks and beyond, there’s a lot of fun new stories to round out more about the man who started the mouse. Disneyland is covered quite extensively, as well. Smothers breaks the park down by land and goes over brief histories of every restaurant that was around while Walt was a live. We learn about each location, its menus, and even the various names and theme changes to come to those locations while Walt was alive. Aside from the fantastic stories and accounts, the book is FILLED with BEAUTIFULLY presented concept art, photography, and images of vintage menus. There’s so much more than I was expecting and of course I wanted so so so much more. Aside from the impressive assortment of visuals to take in, the pages of the book themselves are beautifully designed with gorgeous borders framing all the content. There’s even an entire index with recipes for everything from Walt’s favorite homemade Chinese Candy Cookies to fan-favorite Monte Cristos and even his favorite cocktail: Scotch Mist. And yes, chili, too! From the moment I saw the front cover and flipped through the pages, I knew that this would be one of my favorite books and after pouring over each page I can most assuredly say that Marcy Smother’s EAT LIKE WALT is hands-down one of my absolute favorite Disney books. It is absolutely the perfect gift for anyone who loves Disney and its history.